"Extremely good quality build.The manual is easy reading and understandable. Cooker height is adjustable to the height of normal worktop. Display light in oven is very clear.Fan works extremely well.The supports for pans on the hob are robust and safe ,no wobble. Stainless steel makes it easy to keep clean. Only concern is the motifs showing which tap does what is not clear enough.Could do with a font which is bolder." "I've been trying to get a 70cm wide replacement for my 13-year-old Smeg range for a couple of years, and couldn't find one anywhere. They seemed to have been discontinued. Then I found this one, and the price on AO was great. Single oven with grill, rather than my previous double oven, but a better range all round. 5 burners on the hob instead of the previous 4 as well. The old one was still working fine after 13 years, but we just wanted an upgrade/update. The fan in the oven is better than the old one too - it slows down when you open the door, so you don't get a blast in the face when you open it. Great update on a great item." "Love my new cooker. There a quite a few oven options to choose from which takes a bit of getting used to but overall very happy with it. Looks great too!" "Absolute dream of a cooker,best cooker I have ever owned. Great looking and so easy to use,haven’t yet tried all of the oven functions but the ones I have are superb. Really sturdy construction so hoping it will last many years." Best Cooker we have ever owned. 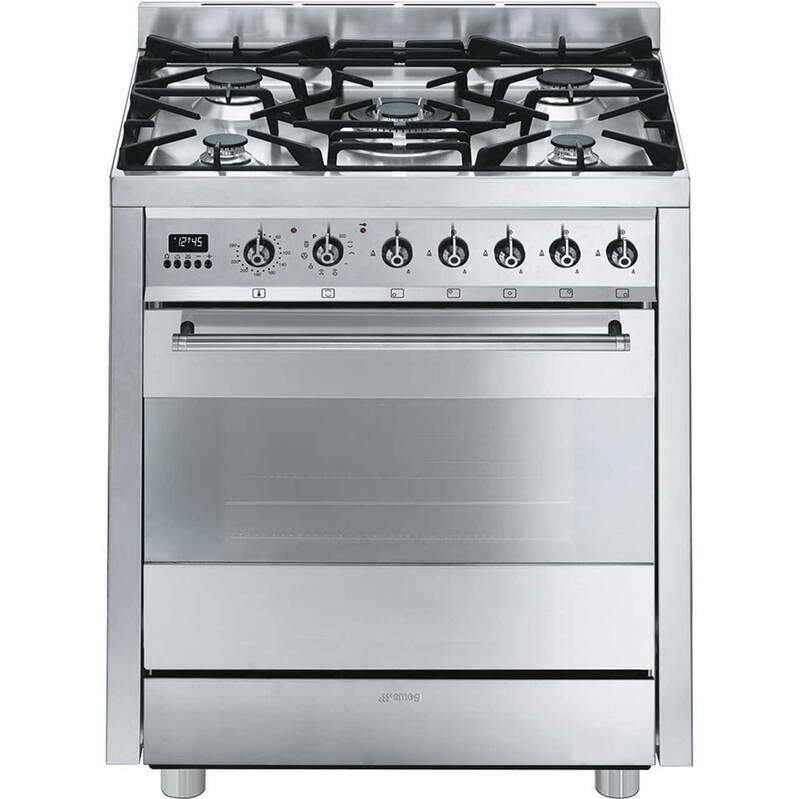 "We have had our cooker for just a little over a year now and it is quite possibly the best cooker we have ever owned. 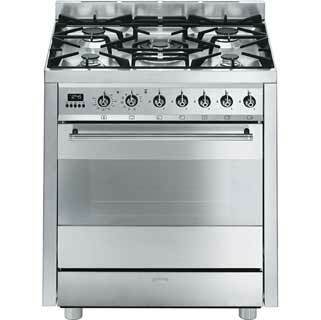 This is an ideal size for anyone with a smaller kitchen but desires all the features of a range. Oven cleaning is a cinch with the pyrolytic oven but the temperature has to be frighteningly high to evaporate all the stains inside. Not having a separate grill might not be for everyone but we have coped much better than we thought having one built into the oven? The stainless steel top is not easy to buff up with its matt finish but a quality stainless steel cleaner will do the job nicely"